roof at the ITTS to answer all of your questions and help make the dreams of your next destination come true. 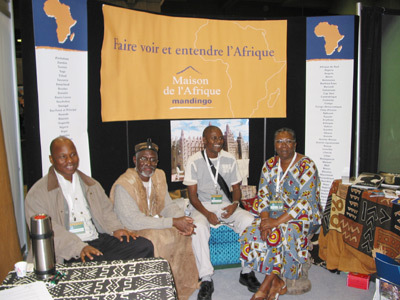 Come and experience the authentic global village at the 27th annual Festival International Nuits d’Afrique! From July 9 to 21, 2013, will be the edition of North America’s biggest world music event! Throughout 13 days, the festival will present more than 90 shows and activities, the greatest names of world music from Africa, the Caribbean and Latin America. This world-class music event with its authentic and festive character really brings people together! Don’t miss its outdoor activities for the entire family from July 18 to 21 at Parterre du Quartier des spectacles in the heart of downtown Montreal, for 4 days of FREE shows and activities... Where the festival is transformed into the Village des Nuits d'Afrique with special concert events, Open-Air Workshops, the famous Timbuktu Market, the restaurants and outdoor terraces with typical and original flavours. This one-of-a-kind experience offered by Nuits d’Afrique is a summertime must! 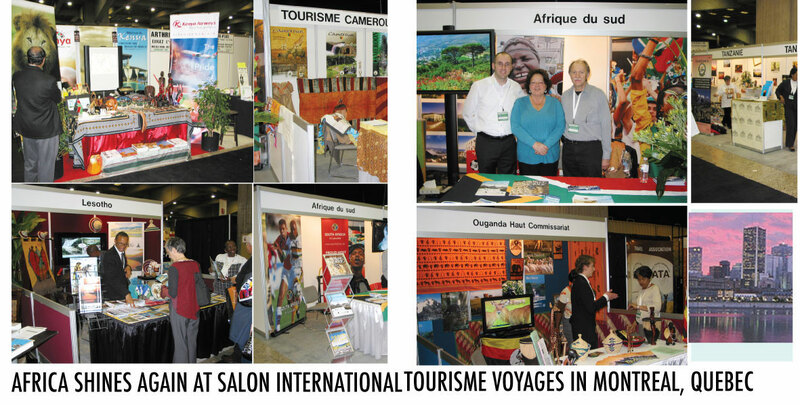 MONTREAL SHINES AS A GATEWAY TO AFRICA! Text from the 2009 show (above) to come. Photos and comments below are from the previous event. 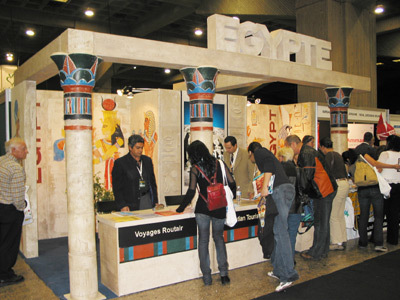 Once again this year, the International Tourism and Travel Show in Montréal will showcase Africa and its beauties to the public, media and trade. 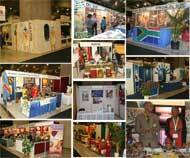 For its 20th edition, held from October 24th to 26th 2008, the organizers of the show are proud to said that they registered a record number of African nations that will be exhibiting at the Show. 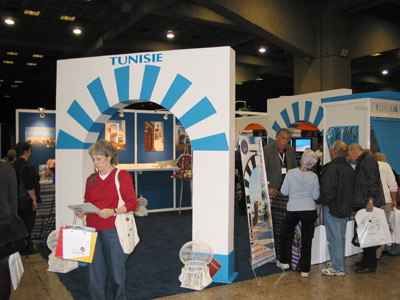 Northern African nations of Morocco, Tunisia and Egypt will be present with big stands. Montréal is a natural market for them, they all have their physical offices located near Place Bonaventure, in downtown Montréal. 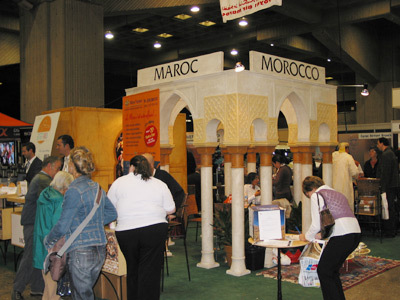 The fact, that Montréal is a mainly french speaking market is a main source of interest for french speaking countries like Morocco and Tunisia. 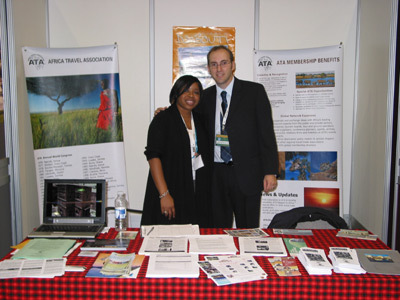 Tanzania, a long time partner in the SITV will make a bigger return this years with a 400 square feet booth. 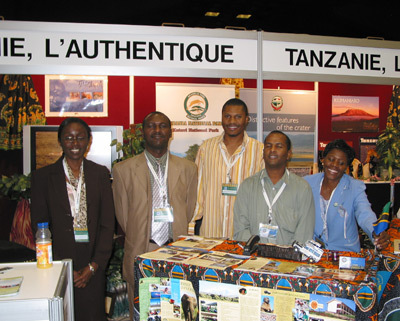 Staff directly coming from the country will be there to present the natural beauties of Tanzania. 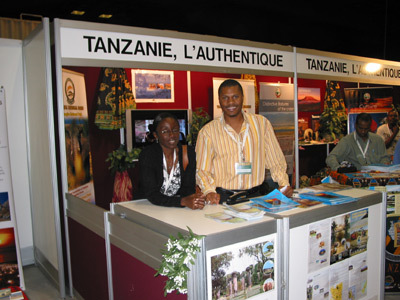 Kenya which had been very much visible in major tourism shows this years will make a return to Montréal after many years of absence, the High-Commission in Ottawa (Embassy) will be responsible for the stand, Kenya Airways should be there to teamed up with embassy staff to present the country. Djibouti, a little nation located in the corner of Africa will be presented for the first time at the Show. Last year, the team from the National Tourism Office were in Montréal at the invitation of ATA to present their country in a special presentation to the medias and trade in September. The Democratic Republic of Congo will also make their very first debut at the Show. DRC which is not seen to much in travel shows will be present at the SITV with the staff of their newly opened office in Montréal, their first in the world. 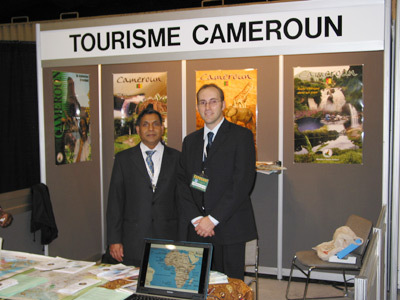 Cameroon make a second visit, last year presence served to introduce the country to the market, this year serves to seduce....The Kingdom of Lesotho, with their Embassy in Canada will also be at their debut at the SITV. This little country, entirely enclaved within South Africa will benefit from the coming Mondial 2010 to be held in South Africa to market its particularities. 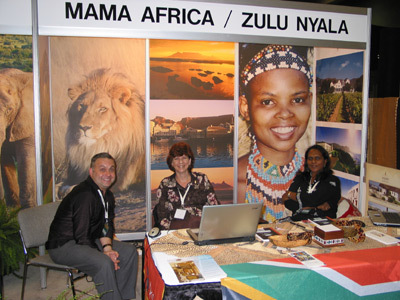 South Africa will be coming back this year with more visibility. 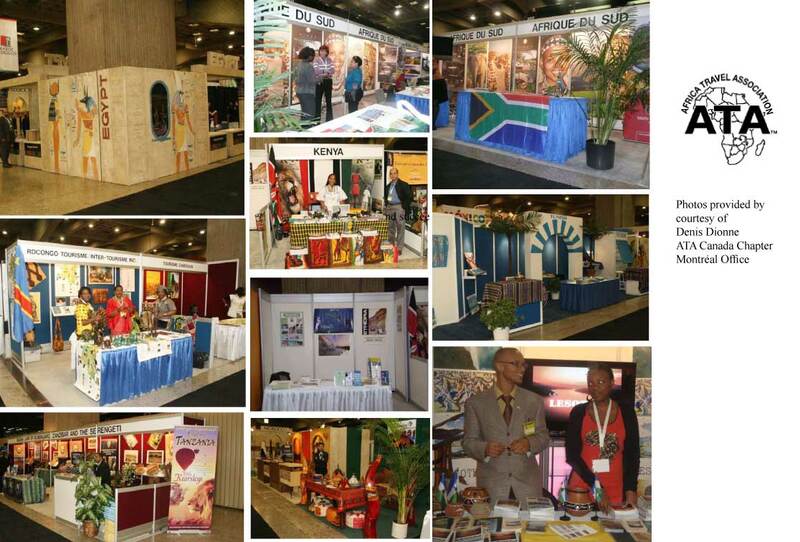 The SA Tourism office in New York is now responsible of the Canadian market. Again the upcoming Mondial will be one of the numerous attractions that the staff from the Embassy in Ottawa will showcase. Interesting fact to note, SA Tourism will launched their newly printed magazine intented for the french speaking market in Canada. 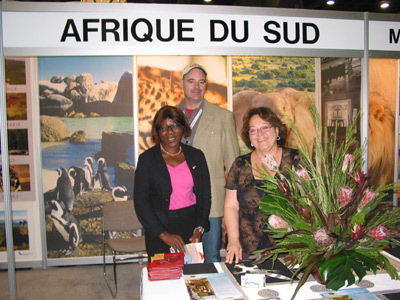 For the second year in a row, Africa Travel Association will have a booth in Montréal to present the Association to the trade and media but also give greater visibility to the member states that are not present physically at the Show. Angola, Ethiopia, the Gambia, Ghana, Malawi, Nigeria, Togo, Uganda and Zambia will all benefit from this ressource. This 20th edition of the SITV promise to be one of the most interesting ever held. 1. 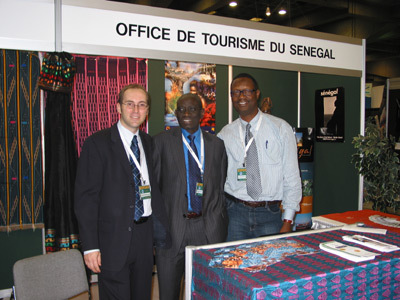 Nathalie Phillipe (above left) and Denis Dionne, (right) at ATA Exhibit.. 2.Jay Vom Vadiiveloo (left) and Denis Dionne at Cameroon Exhibit. Non-stop activities: Shows, dancing, singing and conferences at our Place d'animation, and captivating videos about your dream destinations at the Place du cinema. ...Members in Toronto, Montreal and Vancouver. ....We invite Canadians from other cities to get involved now!  Quebec: Centres of Excellence . .
 ATA Canada Photos .